We have been fortunate enough to have special contributions on serious topics of parent’s and children’s health in the past from Chrissy, and this post is another very important factual piece in conjunction with RnR Dental on how to keep our children’s gum’s healthy! Over the last four years, the number of hospital operations to remove teeth in children in the UK has gone up by nearly 20%, according to statistics obtained by the Local Government Association. A gum abscess is one of the contributing factors for tooth loss in children that parents should know about. However, good oral care and healthy eating habits in children, especially following Christmas and during the upcoming Easter holidays, can help to curb this problem. With the advancement in dental procedures, it is possible to have a pleasant smile even if you lose a tooth or teeth due to dental problems. In spite of that, good oral care for you and your child is essential to prevent dental issues. One of the common dental ailments is gum abscess. A gum abscess, also known as a gum boil, is the draining point of deep tooth infection, mainly caused by bacteria found in the mouth and poor oral hygiene. It appears like a red, white or yellow bump below the gum line. Diagnosing and treating a gum abscess in children at the initial stages may prevent the infection from spreading to other areas such as the jaw and other teeth. A gum boil in children is mainly caused by tooth cavities. When your child fails to maintain good oral hygiene, bacteria can attack enamel and gingiva, producing abscess form and pus on the root of his or her teeth. Trauma to the tooth due to injury and pressure to the teeth during grinding can result in a broken or chipped tooth, which creates space for the bacteria to accumulate and cause an abscess. sult, this can encourage the growth of bacteria in plague and may lead to cavities and in the end an abscess. As a parent, it’s important to watch out for this and limit your child’s intake of sugary treats while ensuring that proper brushing and flossing procedures are being followed. The most visible symptom is the swelling of the gum near the tooth. Other signs and symptoms can be darkening of the tooth, secretion of the pus from the swelling, severe pain while chewing, foul breath, swelling of gums and cheeks and high fever. In some rare cases, the tooth might lose its sensitivity hence no pain felt. In such cases, a CT scan can be done to diagnose the extent of the infection. It’s good to consult your pediatric dentist to ensure your child gets the best treatment. Treatment for abscess depends on the severity of the condition and the area formed. In a case where the abscess is at its initial stage, the dentist may recommend draining the pus from the swelling and clean it with saline water. If the tooth is completely damaged, the dentist may opt to remove it to prevent the infection from spreading to the nearest tooth or teeth. The dentist can also save the tooth from total damage by performing root canal treatment. In some cases, antibiotics may be subscribed to treat the infection. As a parent, preventing a problem is way better than curing it. You can do that by being conscious of your child’s oral health. Some few preventive measures are – ensuring your child brushes their teeth at least twice a day, cutting down on sugary foods, addressing any trauma to the tooth by promptly visiting the dentist and having regular dental checkups. 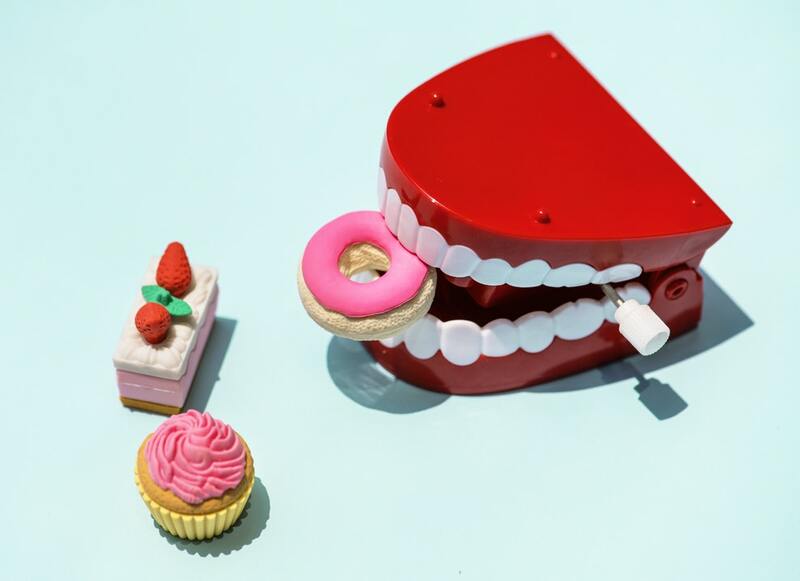 The fact that kids will always enjoy treats that may include sugary stuff during festive holidays like Christmas and Easter, their dental health care should be prioritised to ensure their teeth remain healthy. 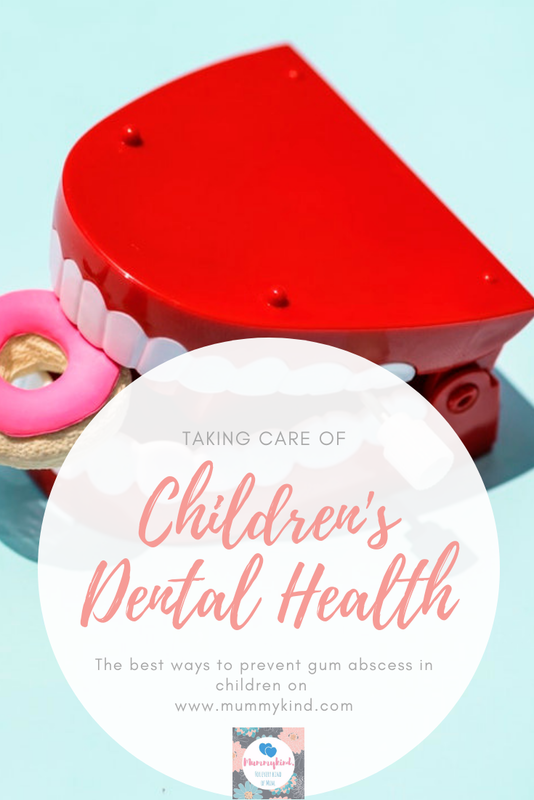 Adopting some of the tips on this article might go a long way in managing your child’s dental health and in avoiding problems like gum abscess. As a parent, have you ever had gum abscess, or have your children needed treatment? Do you have any other tips? Let us know in the comments! 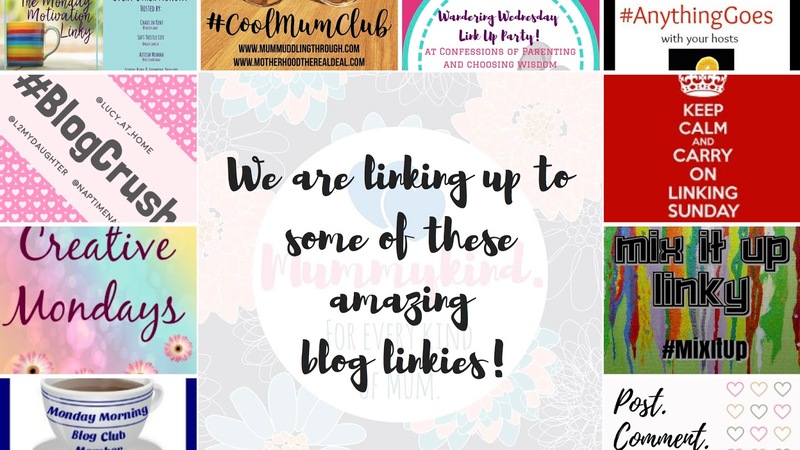 Next Post Life of an Army Wife – Why We Need a Routine!